Earlier this week Microsoft rolled out a big set of firmware updates to Microsoft Surface Laptop. 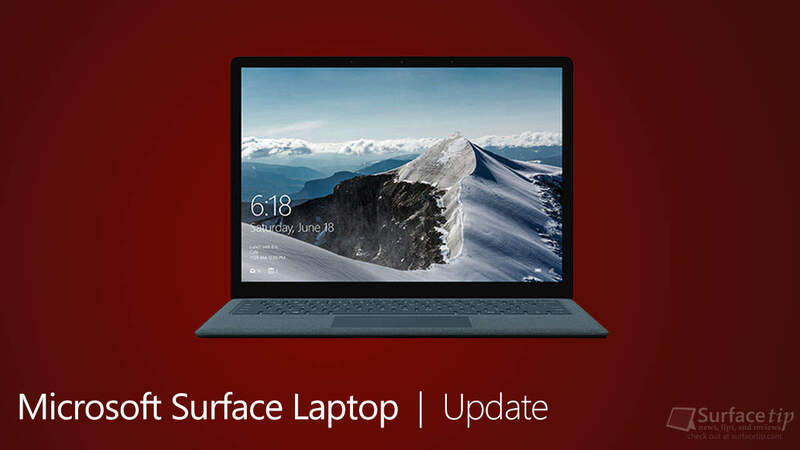 This update will be available to all Surface Laptop devices running Windows 10 Fall Creators Update and greater. The new firmware updates will improve the overall system stability, reliability, especially to resolve potential security vulnerabilities including Microsoft security advisory ADV180012 and ADV180013. The update should be listed as “July 25 release” in the Surface Laptop Update History page when it available. Below are the new driver and firmware version with improvement information for the update. Surface Keyboard – Firmware v135.2179.256.0 improves system stability. Surface System Aggregator – Firmware v135.2244.257.0 improves docking compatibility. Surface UEFI – Firmware v137.2268.769.0 Improves system security. Realtek High Definition Audio(SST) – Sound, video and game controllers v6.0.1.8242 improves system stability. Microsoft Control Logic – System devices v30.15063.6.6082 improves system stability. Intel(R) Dynamic Platform and Thermal Framework Manager – Intel(R) Dynamic Platform and Thermal Framework v8.3.10207.5567 improves system stability. Intel(R) Dynamic Platform and Thermal Framework Power Participant – Intel(R) Dynamic Platform and Thermal Framework v8.3.10207.5567 improves system stability. Intel(R) Dynamic Platform and Thermal Framework Processor Participant – Intel(R) Dynamic Platform and Thermal Framework v8.3.10207.5567 improves system stability. Surface Integration – System devices v2.0.546.0 improves system stability. If your Surface Laptop hasn’t yet installed the update, it should be displayed in the Windows Update now. Click here to download the latest Surface Laptop Drivers and Firmware from Microsoft Download Center. We appreciate hearing your thoughts, questions, and ideas about “Microsoft also rolled out a huge firmware update (July 2018) for the Surface Laptop”. Please post respectful comments and on topic. We will be replying back to you as soon as possible. Share your idea about "Microsoft also rolled out a huge firmware update (July 2018) for the Surface Laptop".